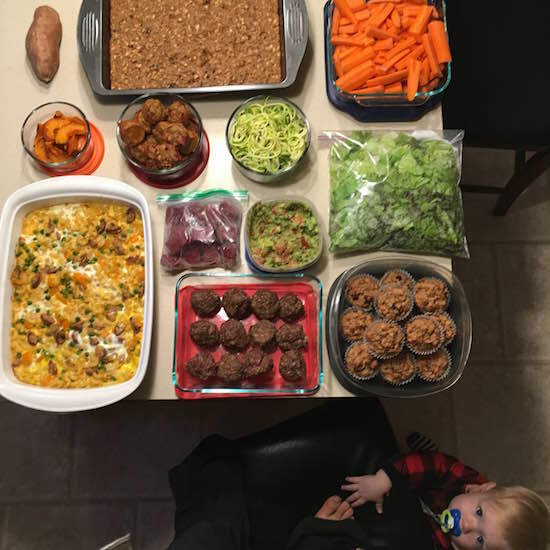 Lunches for the week are jarred salad and trays that have: 21Day Fix meatballs, brown rice, and peas/green beans. I made hard boiled eggs for hubby’s breakfast, and blueberry oatmeal bake for my breakfast. 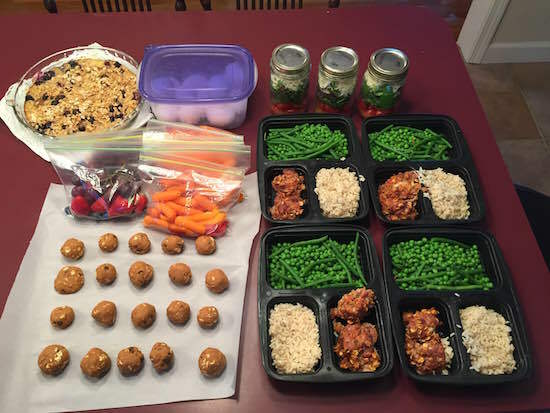 I made PB2 Protein Balls, and finally bagged fruit and veggie bags for snacks. 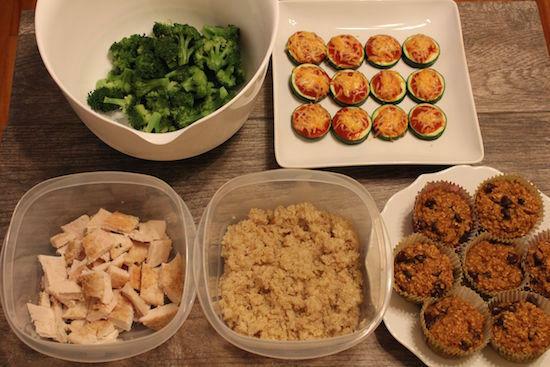 Baked chicken breast with garlic powder and bread crumbs, steamed broccoli, quinoa, pumpkin spice baked oatmeal cups, zucchini pizza bites (those were actually for dinner but it was my first time making them so had to include in the photo). Just a small food preparation for me. On the left is veggie chilli (I’ll cook rice each night). 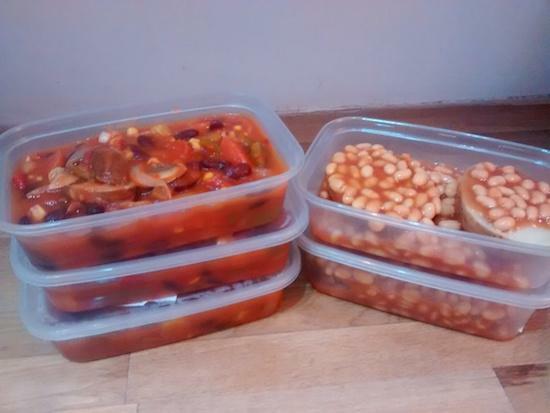 On the right are jacket potatoes with baked beans ready for lunch. We have some nights out so I don’t need a full week. I’ll make egg mayo for sandwiches later in the week. Those sweet potato banana bites sound delightful!